Hearthstone: Heroes of Warcraft debuted in March 2014 and quickly garnered widespread acclaim. The next two years saw three full expansions and four single-player adventures which added a plethora of cards and mechanics to the base game. Through all the additions, Blizzard has managed to maintain a tremendous balance. Though certain popular decks have the tendency to flood ranked matches, anyone with a good sense of deckbuilding and in-game strategy has always had a legitimate chance to succeed. Now, the fourth Hearthstone expansion – Mean Streets of Gadgetzan - has arrived. With 132 new cards and several new mechanics, the potential for fresh unique strategies has never been better. The big question at hand is this: has Blizzard managed to maintain the game’s balance while injecting new ways to play into the formula? In short, is it still fun? Several new mechanics make deckbuilding fun again, particularly while the community is still getting a handle on all the new cards. These mechanics are based around three crime families: the Grimy Goons, the Jade Lotus, and the Kabal. 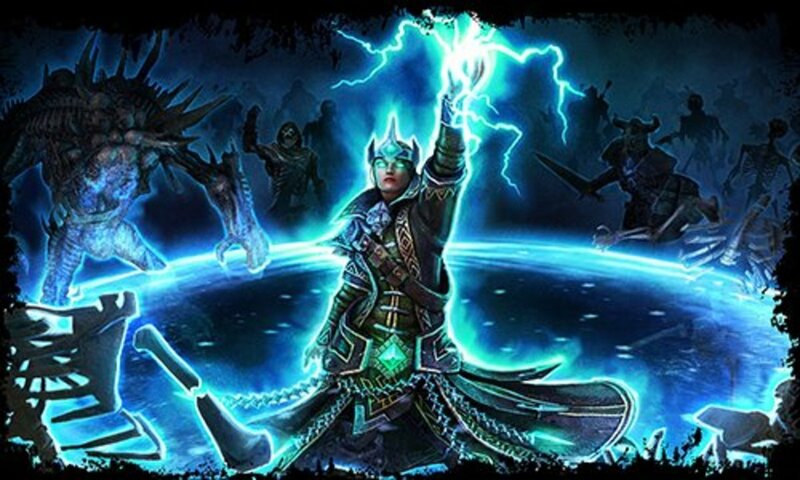 Each Hearthstone class is attached to one of the three families; for example, Mages, Warlocks, and Priests are part of The Kabal. Each family contains a fun new mechanic, in addition to the overarching introduction of Tri-Class cards. Tri-Class cards are class cards that are usable by the three classes in each crime family. 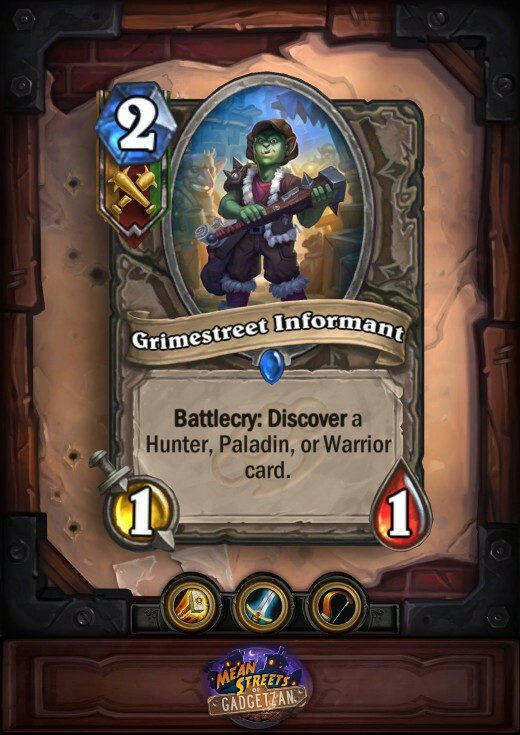 For example, Grimestreet Informant can be used by Paladin, Warrior, and Hunter decks, and its battlecry allows you to discover a Paladin, Warrior, or Hunter card. This brings an awesome opportunity for cross-pollination between different classes. Ever wanted some Hunter secrets in your fast Warrior deck? Now, you’ve got a pretty good chance of getting one. Though there is a random factor to many of these Tri-Class cards, they inject a lot of fun and fill some weak spots in each class’ roster. The new crime family mechanics are an absolute blast to play and experiment with. Grimy Goon cards frequently add buffs to random minions in your hand. The Goons’ boss legendary, Don Han’Cho, buffs a random minion in your hand by +5/+5. This can add some serious punch to a lower mana minion in the mid-late game - making cards that struggled to be useful past the opening stages into a legitimate threat – or beef up an already beefy minion – imagine getting this buff on an already deadly C’Thun! Jade Lotus cards summon Jade Golems that get an extra +1/+1 for every Jade Golem played. 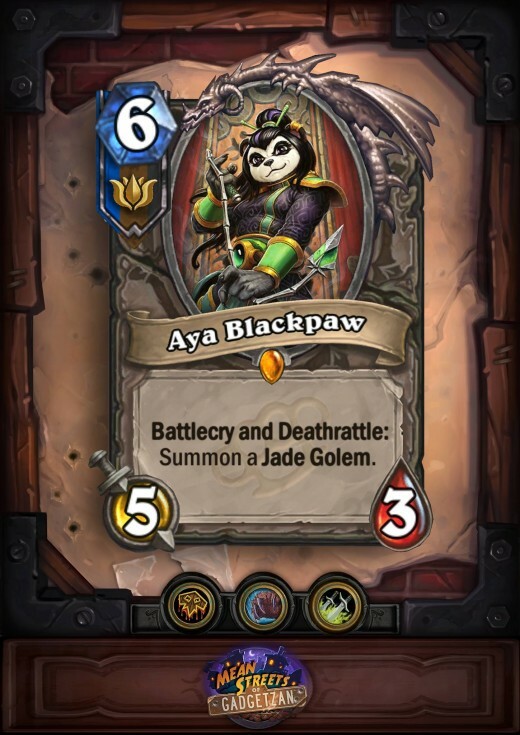 Because of this, Lotus decks always have minions of appropriate strength at each phase of the game, and certain cards (like the Druid’s Jade Idol or Lotus’ legendary Aya Blackpaw) can result in flurries of Golems in the mid-game. The Kabal’s mechanic revolves around Potions – new spell cards with a startling variety of effects, like the Pint-Size Potion, which gives all enemy minions -3 attack for the current turn. 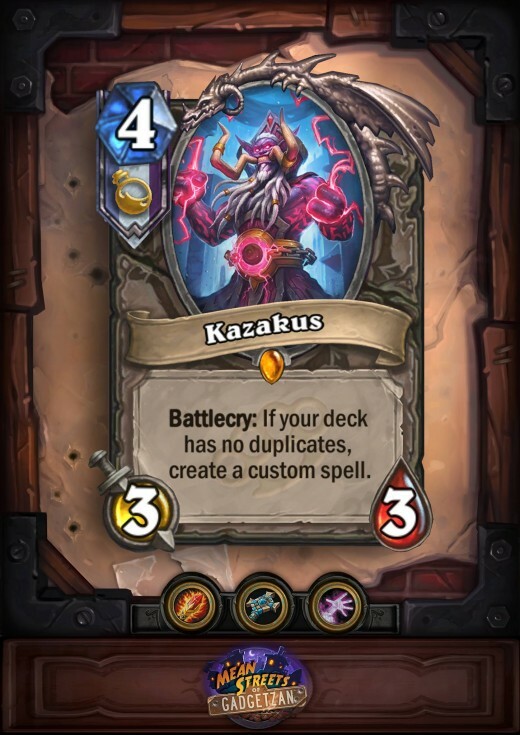 The Kabal’s legendary, Kazakus, even lets players create a custom Potion from over 100 different parameters, provided there are no duplicate cards in the deck. My only gripe with the new gameplay avenues is the continued lack of fun strategies for Rogues. *Editor’s Note: I don’t play Rogue; this is not a personal rant. * Even with the addition of Jade Golems to the Rogue’s repertoire, there still are no globally useful Rogue mechanics. 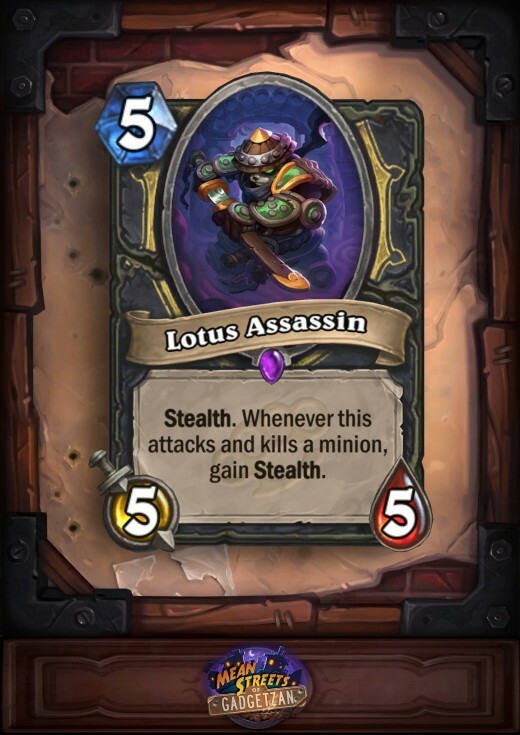 The main thing Rogues seem to be going after in this expansion is stealth, with some cool cards like the Lotus Assassin, which begins with stealth and returns to it each time it attacks and kills a minion. Unfortunately, with the influx of board clears from potions amid standbys like Flamestrike, stealth seems to be far less effective than it used to be. As a result of that (and the fact that Blade Flurry still doesn’t have any decent Rogue weapons to utilize), I expect Rogue players will continue to struggle at higher levels of play. This card art is some of Hearthstone’s best. 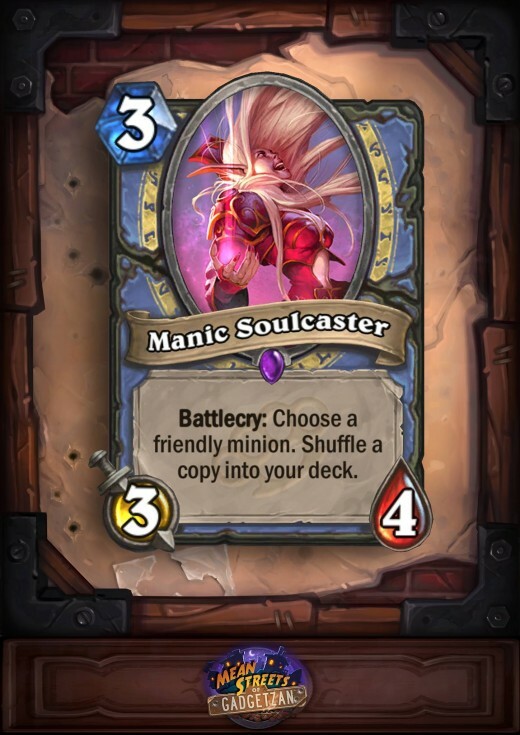 The Manic Soulcaster looks every bit the part, with her hair flipping wildly amid her crazed smile. The rodents in the Rat Pack artwork wear the hats and suspenders to which the name references. Additionally, each crime family is not only connected by gameplay mechanics, but also by the card art. Kabal characters are generally seen with a potion in hand, Lotus cards are infused with the flavor of the ancient east, and the Goons wield crazy weapons with which to equip their comrades. It’s a marvel that Blizzard has connected each card to both the mechanics and styles of the crime families, and as a result, it’s a joy to discover and play these new cards. Hearthstone has always maintained a quality soundtrack that adds a tavern-esque flavor without distracting from the strategy at hand. Nothing mind-blowing has been added with the new expansion, though it doesn’t do anything to detract from what has been done before either. Grading a digital card game on plot sounds odd, but Blizzard just made some awesome additions to the Warcraft lore with Mean Streets of Gadgetzan. 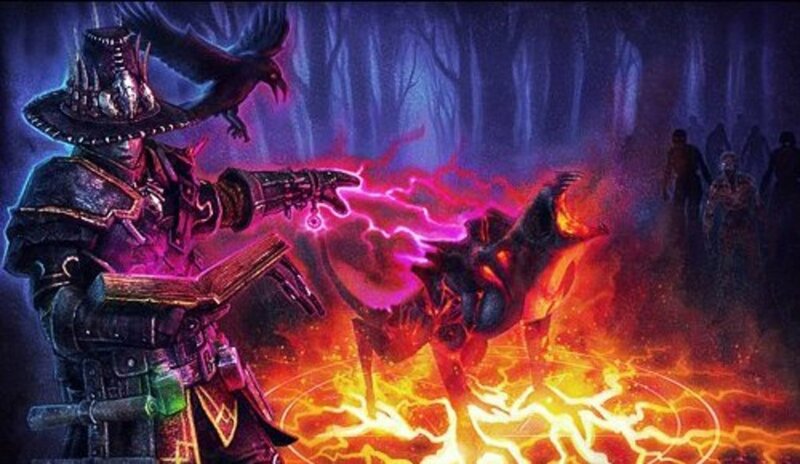 Up to this point, the characters, creatures, and spells in Hearthstone have mostly replicated pre-existing characters, creatures, and spells in the rich Warcraft canon. This time around, Blizzard not only created the aforementioned crime families, but basically gave the town of Gadgetzan a complete makeover. No longer is it a desert town characterized by sand and a combat arena; it is now a bustling metropolis complete with tourist attractions, potion shops, and seedy back alleys. To date, the changes to Gadgetzan in this expansion have not culminated in any changes in World of Warcaft, nor have they become canonical in the greater Warcraft lore. Even so, I find myself hoping that this will change soon. I’d love to run stealth missions for Aya Blackpaw or go on an ingredient selection mission for a new potion with Kazakus. Yes, I realize I’m talking about a completely different game than the one on which this review focuses, but that just goes to show you how great the “story” in this expansion really is. Even if it’s just a “what-if” scenario, it’s a great one. Hearthstone has proven itself to be infinitely replayable in the near three years since it released, and Means Street of Gadgetzan continues the trend. Many of the new cards mesh with old expansion cards that are only playable in Wild mode, so there’s more ridiculous strategies coming there. It is balanced very well with the C’Thun expansion, which still dominates the Standard mode, and it adds a little more randomness to Arena mode (which can be good or bad depending on how you play). With Blizzard’s continued support of weekly Tavern Brawls and monthly Seasons, Hearthstone continues to be a game that many will pour a significant chunk of time into. For returning players, now is a great time to jump back in with new strategies and a quickly-evolving meta ensuring that everyone has a fighting chance. Means Streets of Gadgetzan has ushered in so many new ways to play I’m still finding fun new strategies after twenty plus hours of Standard/Wild mode. From the new play mechanics, to the beautiful card art, to the near-infinite replayability, this expansion succeeds in just about every category it should. Some of the most exciting and nail-biting matches of my Hearthstone career have happened in the two weeks since launch. If you play Hearthstone – or even if you haven’t played for a while or have never touched it before – you should book your trip to the Mean Streets of Gadgetzan today. Did you enjoy your trip to Gadgetzan? Yes - I avoided getting shot and mugged! 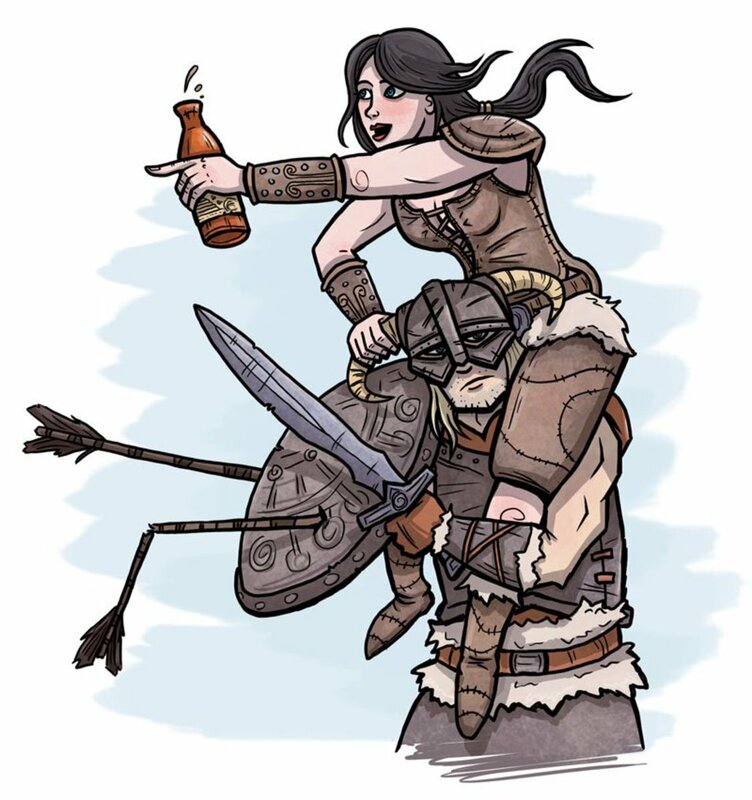 No - I took a Pint-Size Potion to the face.